The present business world works on Charles Darwin’s principle of ‘Survival of the fittest’, and for surviving, user acquisition has become a major magnitude as their satisfaction is the biggest advantage a mobile app development company like Prismetric could have. There is a lot of competition in app development and marketing calls for advanced methods of user acquisition and retention. With thousands of mobile apps launched on a daily basis, you need to make sure that your application stands out not only for the number of downloads but also regarding usage. While the main priority of your mobile app developer team should be to build a user-friendly and aesthetically appealing app, the aim of user acquisition and retention should not be far behind. User acquisition and Retention might seem to be a huge task, but it is pretty simple if you follow some basic tips and tricks. Here, we present to you the top 7 methods by which you can increase your ratio of user acquisition and retention exponentially. In the world of social media and the Internet, almost everyone is resonating with a national/international cause. An efficient way to connect with people of a particular background/country is to resonate with their public and socio-economic affairs. For example, Facebook app allows you to change your profile picture to show support for your favorite team during football and cricket seasons. Snapchat is another cool example of how filters for selfies can be used to resonate with a social cause. This will make the customers relate with your app and feel at home with it, thus making it to opt more than anything else. This method might seem a cliché but it is even more important in the competitive mobile app development field. Whenever you launch an application and write an app description for the same, it is crucial to include strategically placed keywords in the content using a successful App Store Optimization technique. The keywords should be relative to the genre of the app so that the customers would not find it difficult to search it. During the app registration and classification, make sure that you are enlisting your application in the correct field such as entertainment, music or games. If your application can be enlisted in two separate fields, it is better to register under the less competitive field and include more keywords for the other field in the description. By rolling out constant updates for your application, you send out a positive reinforcement message to the application users. This way you can ensure the mobile app users are reassured that you are still focusing on the app and the users will get support from the app developers for a long period. Constant updates of your mobile app will also make it to keep up with the latest trend and thus the user would not feel lagging behind. One of the best examples of applications that roll out constant updates includes Clash of Clans and WhatsApp. Over the years, we have seen major aesthetic as well as functional changes in the two applications. Social media is a powerful tool that can be used to advertise and market your application. However, it is not the only tool. Several other means of marketing such as paid advertisements and blogging are great ways of marketing an application. A great way to market a mobile app is creating a good video about the application. With the creation of a video, you can attract more users as most of them will prefer watching a short video clip and looking at screenshots than engaging themselves in reading a lengthy product description. When it comes to user retention, it is important for you to keep track of all the different user statistics of your application. 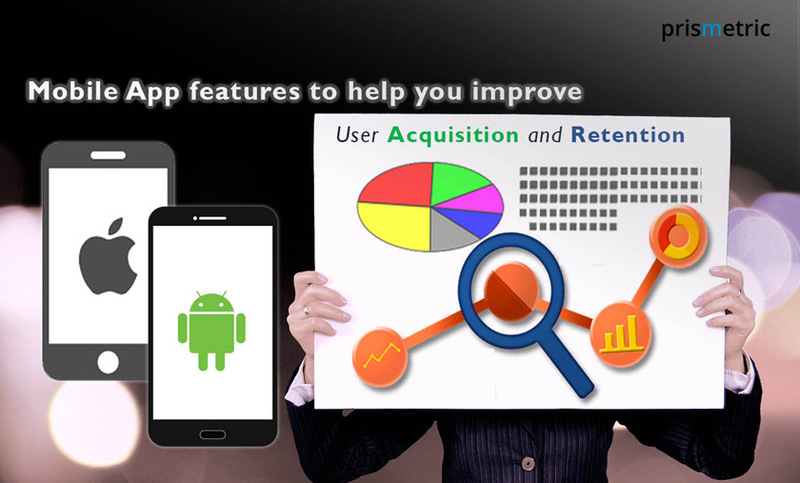 While a good number of downloads on the app stores helps in user acquisition, a good track of your mobile app analytics helps in staying in touch with the application users. A lot of users often comment and rely on the app store description and reply before downloading and installing a mobile app. Most of the users check the application ratings and buy it after that. To make sure that you have a lot of positive app store reviews and good customer satisfaction, you need to reply to the concerns of your app’s users and roll out updates accordingly. It is a no-brainer that people hate waiting and hate watching advertisements they have no interest in. Most of the revenue generated by your application comes from the advertisements that you post within. A simple trick to reduce the number of advertisements is to display a few seconds worth of advertisements while or before the app starts and not bother with displaying the advertisements constantly on screen. YouTube and MX Player are the most popular media applications on the app stores because of strategically placed ads that do not interfere with user experience. The mobile devices are getting smarter by the second with more and more features in the hardware as well as the software. You can use the hardware features of a smartphone to make your application look exclusive and premium. You can make your app viral with Virtual Reality and giving links related to the mobile app. Ensure that you provide notifications on the user’s screen at optimum times so that the user stays in touch with the application but is not bothered constantly by the notifications. User acquisition and retention are the most sought things the mobile app development companies are looking at for better business perspectives. Reading this article would give them a perfect idea about what the customer requires in order to increase their market penetration rate. Ashish Parmar is the CEO of Prismetric Technologies Pvt. Ltd, a top-rated Mobile App Development Company. Ashish believes in making customer satisfaction as the top most priority and takes care of the Business Development and Operations. How AR/VR will help your business to explode? Is Augmented Reality the future of apps?